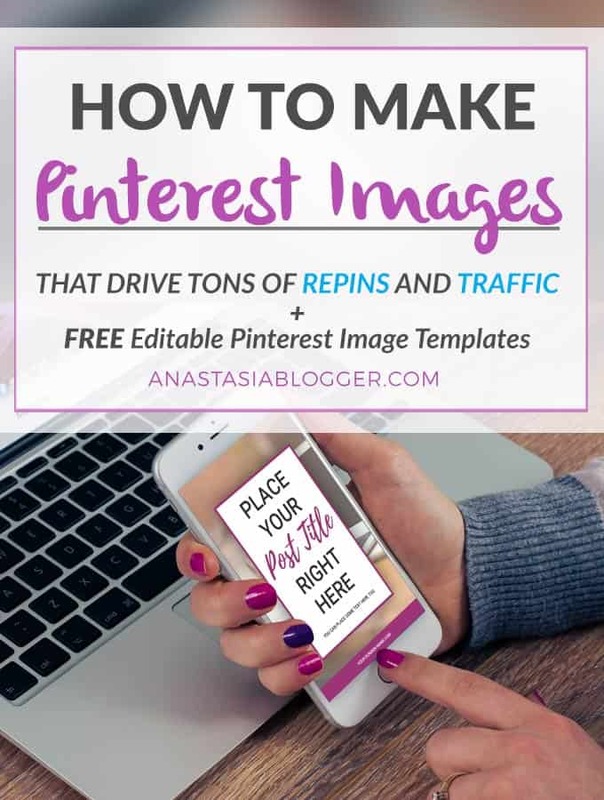 Today I decided to write a post that will answer a question many of my readers have – how to make Pinterest images that attract attention and generate repins, as well as traffic to your site or blog. As for me, Pinterest brings about 80% of the traffic, and it blows my mind! I know that many bloggers have similar statistics. According to a research made in 2015 by Shareaholic, Pinterest was the second social media traffic referrer following Facebook. Even more interesting, in 2015 it was driving about 5 times more traffic than Twitter! If you are reading this post, you probably already know that Pinterest works as a great traffic generator for many niches, and you don’t have to write only about recipes, crafts, and fashion. Knowing that Pinterest is essential for growing your blog, perhaps you were wondering, just like me at the start of my experience with this platform, what are the Pinterest Image Tips you should follow for the best results? The first question you should answer to yourself – what is the ideal Pinterest image size. Most importantly, your images MUST be vertical! About 80% of Pinterest users browse the boards on mobile devices, which is why Pinterest prefers images with an aspect ratio 2:3. For example, your images can be 650 pixels wide and then the height should be 975. In the Pinterest’s official guide, the recommended minimum width of images is 600 pixels. Longer pins are better for getting more repins and traffic as they occupy more space on the feed, making it hard to pass for shorter pins. Who should we listen to when looking for Pinterest Image Tips? We could look through some of the most popular pins and try to make our own conclusions, but to get an objective opinion, we’d have to analyze too much data. Luckily, this job was done for us by a startup called Curalate. In 2013 they conducted a research based on the analysis of 30 different visual characteristics (for example, colors, sizes, textures, the presence of faces, etc.) with an impressive sample of 500k images on Pinterest! Pinterest Images with faces receive 23% less repins. Your image should include at least a few vibrant colors – yellow, pink, red, etc. 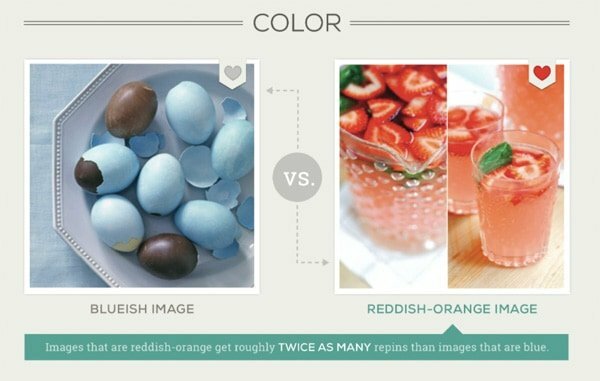 Images with red, pink tones get on average twice more repins than images with blue tones! 3. It’s recommended to use a contextual background as opposed to a simple monocolored background (for example, plain white). The background should add some meaning to the pin! 4. 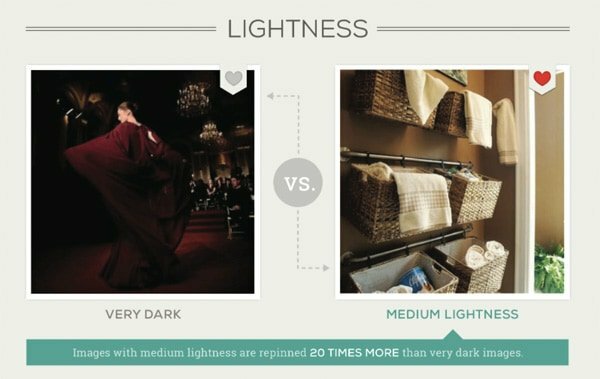 Too dark images receive 20 times less repins than images with medium lightness. Don’t use too dark photos or wholly white images as a background for your pins often as users prefer the golden middle. Keep a balance with branding elements. 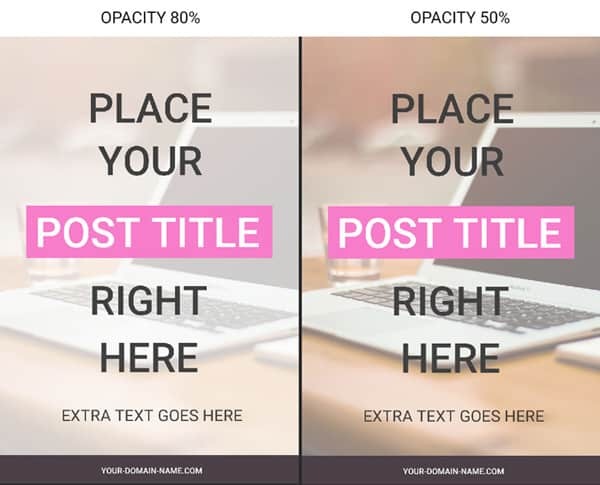 When your logo or site domain occupies too much space on the picture, it looks like a direct advertisement and users avoid sharing such content. Quality! Well, no need to comment on this, images of high resolution look better and get more repins. Now, as you know all the theoretical part of creating the most efficient Pinterest graphics, I’ll answer our initial practical question, which is how to make Pinterest images, which tools to use? Most of the times, you can’t just use a picture or photo as it is, and upload it to Pinterest. First and foremost, because you need to add your post title as a text to this image. Adding text is a part you should never skip because when you scroll down the Pinterest content, mostly pins that don’t contain any text, remain completely invisible, they just don’t catch your attention. For me, they look like something unfinished, something that appeared in my feed by mistake. If you already know how to use Adobe Photoshop, at least the basics, it will be quite easy for you to create custom and tailored Pinterest images. If you don’t know yet, you can scroll down this post, I added a very simple tutorial that allows you to edit in a couple of clicks the FREE Pinterest image templates Nuno and I offer here. Both tools have free (limited functionality) versions, but you can always try and later upgrade to a pro version. If you sign-up for PicMonkey using my link, I might receive a small commission (only if and when you move to the paid version). As for Nuno and I, we use old-school, solid Photoshop, you can check here their monthly subscription plans, quite affordable. Now let’s get to the best part – the FREE Pinterest Image Templates. With Photoshop, you use these free templates and edit the color of the titles, background, text boxes, images, etc. You can change pretty much everything if you want to. Or you can change just the text and your domain name, and keep everything else as in the template. Nuno is a professional graphic designer, and you can trust his taste in choosing the best combination of colors, fonts, and backgrounds, but you can, of course, customize the template for you specific post. All the elements of these images are saved each on separate a layer, which makes it easy to find and edit whatever you want to, without messing around with other elements of the image. You will find Layers in the right menu window. 0% will have no color, 100% makes it entirely opaque. 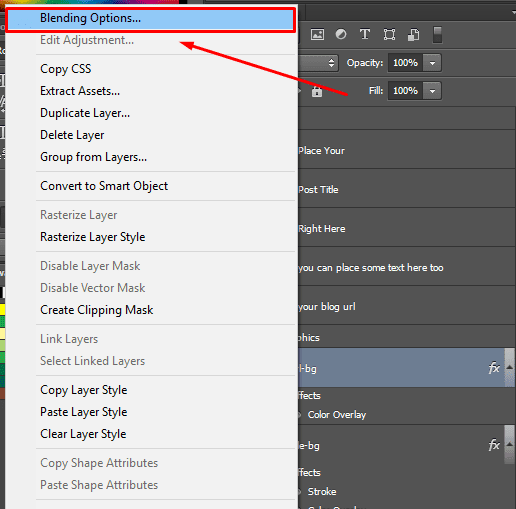 If you want to change the background of a color layer, for example, the background box of the text, Right-click on this layer, and go to Blending Options. To edit the text, just select the Text Tool (T shortcut) by clicking on it on the Toolbar. Then, go to the text you want to edit, hover it with the mouse and click. To move freely in the canvas any of the layers, just select a layer, and then in the Toolbar select the Move Tool (V) – then just drag and drop. Now you are ready to use the free templates, you know the theory and the with the instruction above can edit templates. 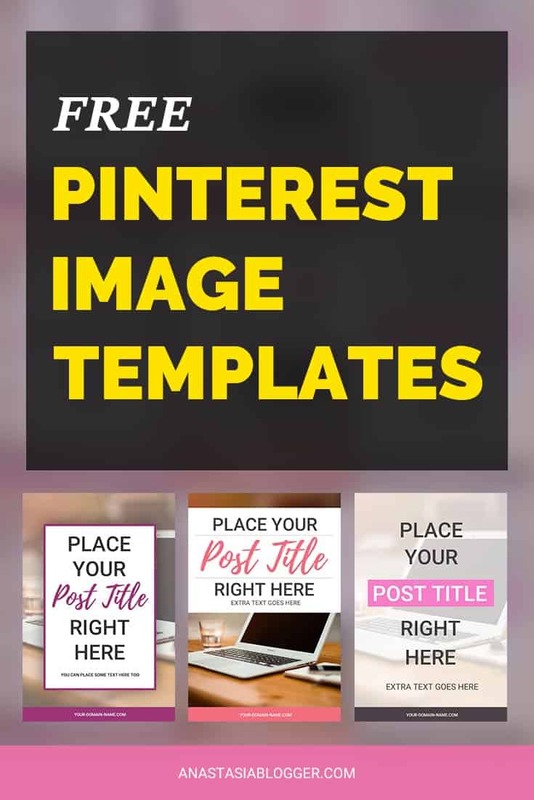 To download a pack of FREE Pinterest image templates that are made professionally, following all the recommendations for Pinterest images, leave me your email in the form below, and I’ll send to your inbox an archived folder with editable PSD files. 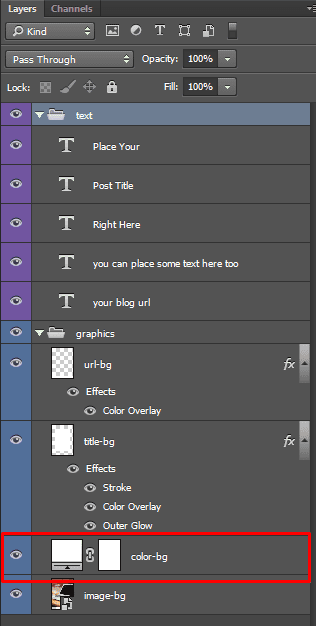 You will open them in Photoshop and edit text, colors or anything else you want to change for different posts. 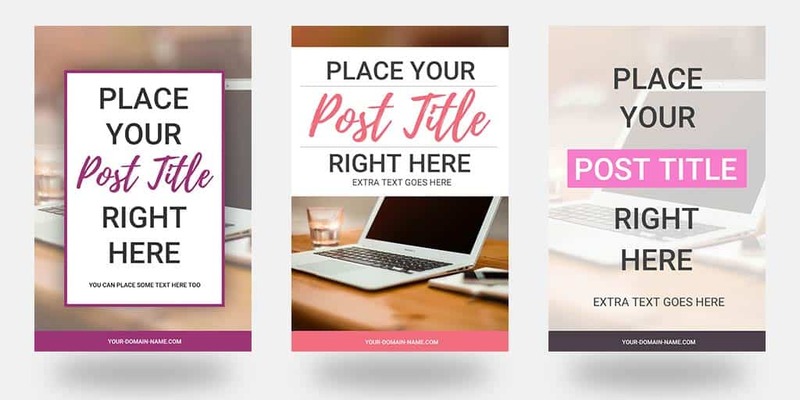 Download a FREE Pack of Pinterest Image Templates! Subscribe and get the pack by email! Thank you for subscribing! You’ll find the download file with FREE Pinterest Image Templates in your email. Save THIS PIN to your Social Media Marketing board on Pinterest and get back to this post later. Wonderful templates! I currently use Canva to make my images and love it. I do think I am going to lighten some pics though and make them larger! Such a time saver…thanks so much for this! So excited about this. Going to pour myself the biggest cup of coffee and dive into this when my kids are napping. Such great content. Thank you! Excellent advice. The examples ar very helpful. Great post! I learned a couple things I didn’t know that will prove really helpful. Thanks for sharing! This is a wonderful resource thank you! Thank you! Feel free to download the Pinterest image templates – there is a form on this page, I’ll send you the PSD files to your email. Wow! These are some excellent tips. I always like bigger images that are pinned on pinterest. I use Canva to make my blog images too. Thanks for sharing this with us! These are great ideas – I think it’s way too easy for us to forget how important pinterest can be as a business tool, but using it well really can make a huge difference. Some really useful tips – and a lot of new information that I didn’t even know (dark/light colors especially)! Can’t wait to try these tips out on my own feed! Really great information! I’m going to try some of these tips! I’d love to get my Pinterest traffic up! This is some great tips to make our Pinterest pictures look more professional. When I first started blogging 6 years ago I didn’t pin professional pins but now I do. I find now I get more repins now that my pictures have the right pinterest measurements. I’ve been slacking on making my images Pinterest worthy, definitely something I need to work on! Great advice I will be putting to use. I know that I need to start making more pinterest images that work well. I certainly need to learn how to use Pinterest more to drive traffic. Thanks for such great tips! I think it’s interesting how social media platforms vary in what works better. For instance, you say here that blue photos get less interest, but on Instagram, blue photos perform better. So much to learn with all the platforms! btw, found this amazing post on the pinterest friends tailwind tribe. It’s really important to have a good image when it comes to Pinterest since that’s what most people are attracted to. I think these are great tips especially for people who are new to the site. Very good tips! I have a pinterest page but is still without great traffic..I’ll try to follow your suggestions ? Thank you so much for the tips! I entered my e-mail.. thank you so much for the free pinterest template. I am currently not on Pinterest yet. Hopefully, with your tips, I can get started soon. I can use a few more visitors to my blog. Some really great templates here. Thank you for the ideas. I am always looking to improve my pinterest. I have not put a ton of effort into Pinterest but I am actually a little inspired. Landscape photos work best on blogs, but I have taken some amazing portrait photos I don’t use that could step up my Pinterest game, Thanks. I shared for my readers. Thank you for the post and great tips. I’m actually try to get better on Pinterest. Would love to use those templates too. Hi Priscilla! I’m sorry, at the day you read my post I accidentally replaced the form for Pinterest templates with another one. Now, this is fixed. Please go ahead with the form at the end of the post and you will receive the file with templates to your email. Sorry for this confusion, wish you a great day! Thank you for sharing your templates! I downloaded them and opened them and cannot get the folders for the layers to open for me. I use Photoshop Elements on this machine, though, and not the full Adobe Photoshop software. Elements (in ‘expert’ mode) does have the capability to create/edit layers and all of the instructions in your post are well within my skill set. I didn’t know if I am missing a step or if you know it will not work unless I have the full Adobe Photoshop software? The folders appear in the layers window but they are showing as uneditable…I am sure it is something I am missing or doing wrong! Hope you like them and wish you a nice week! Pinwords is a really basic tool, but it’s great if you want to quickly make an image from a quote and add it to your Pinterest account. Pinstamatic actually lets you create a whole bunch of items to add to your Pinterest boards including website snapshots, pins of Twitter profiles and Spotify tracks that yous can pin.